Moisture in a crawl space causes mold and falling insulation. The CleanSpace encapsulation system prevents these issues. If your crawl space has increased moisture or water infiltration, then it could be causing health, safety, and comfort issues throughout your home -- with the chance of mold growth, rotting floor joists, or pest control issues. 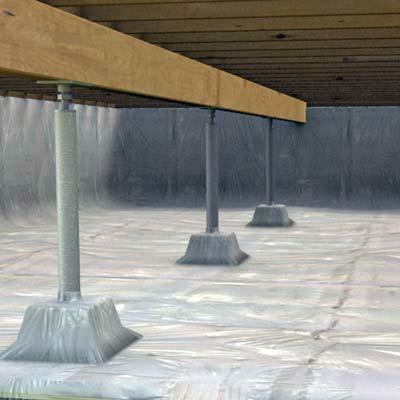 We at Badger Basement Systems can restore and prevent crawl space damage with our crawl space encapsulation, moisture control, and waterproofing services. If you have failing crawl space insulation, increased crawl space humidity, or other signs of crawl space damage, then contact the expert specialists at Badger Basement Systems today to schedule your crawl space inspection and free cost estimate in Madison, Milwaukee, Janesville, Rockford and surrounding areas in Wisconsin & Illinois. 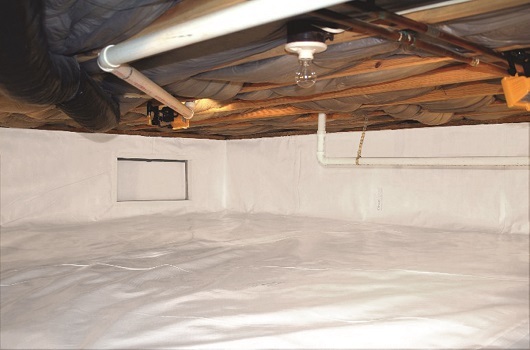 Crawl Space Encapsulation: In order to prevent excess moisture from entering your crawl space and causing mold to grow, you need a crawl space vapor barrier. Crawl Space Dehumidification: Adding a dehumidifier to the crawl space helps to maintain healthy moisture level and improve the air quality inside the home. Crawl Space Insulation: Adding an insulating barrier to your crawl space eliminates drafts, making your house more energy efficient and boosting home comfort. Crawl Space Drainage: Crawl space drains remove any water that is in your crawl space to eliminate damage from flooding and moisture build up. Our complete crawl space encapsulation system is designed to combat your moisture, mold, comfort, and structural problems. We cover the crawl space walls and floor with the premium-quality CleanSpace 20-mil vapor barrierthat's covered by a 25-year warranty against rips and tears. The crawl space vents are sealed with vent covers that never need painting. A powerful, energy-efficient SaniDry dehumidifier is installed to effectively control moisture and prevent mold. 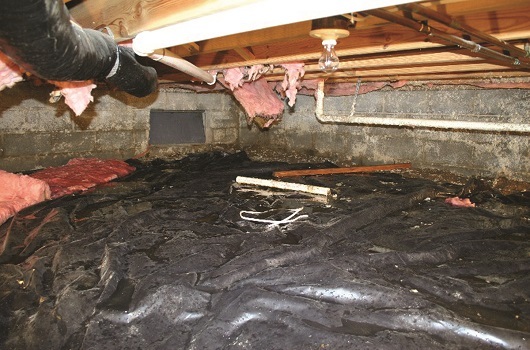 Whether your crawl space has settled, has moisture control issues, uneven floors, water or flood damage, mold growth, or failing insulation, we at Badger Basement Systems have these solutions and more! With up to 50% of the air in your home coming from the crawl space, which could house mold, dust, humidity, and other dangerous elements, you have to invest in your health, safety, and comfort. Our crawl space system is proven effective and will provide years of worry-free performance and protection. Call 1-844-225-3694 today to schedule your on-site crawl space repair consultation and free cost estimate, available in Madison, Milwaukee, Janesville, Rockford and surrounding areas in Wisconsin & Illinois.